Will Two Long Blighted PHA Homes Finally Get Taken Care Of? 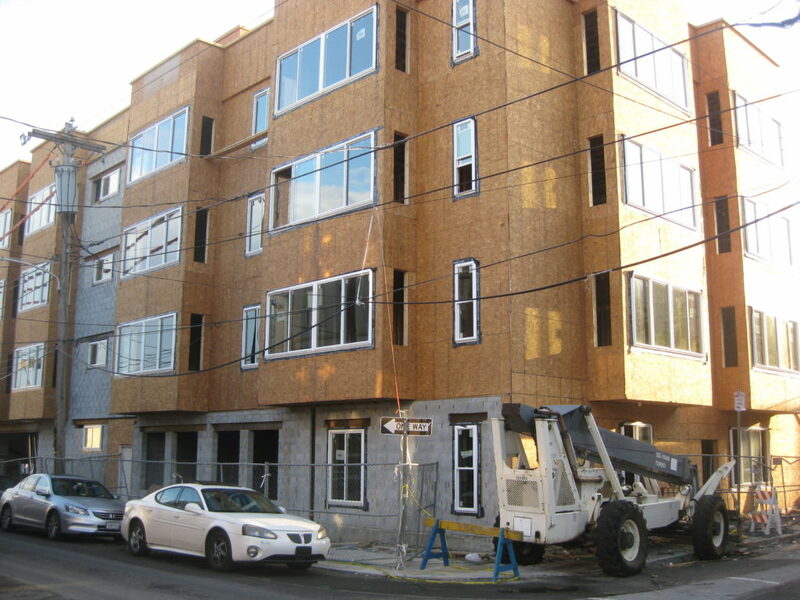 Anyone who lives near 20th & Kimball is surely not a fan of the Philadelphia Housing Authority. Very few expressed any sort of pleasure when PHA built an unattractive two-story building on the northeastern corner of this intersection a couple of years ago. 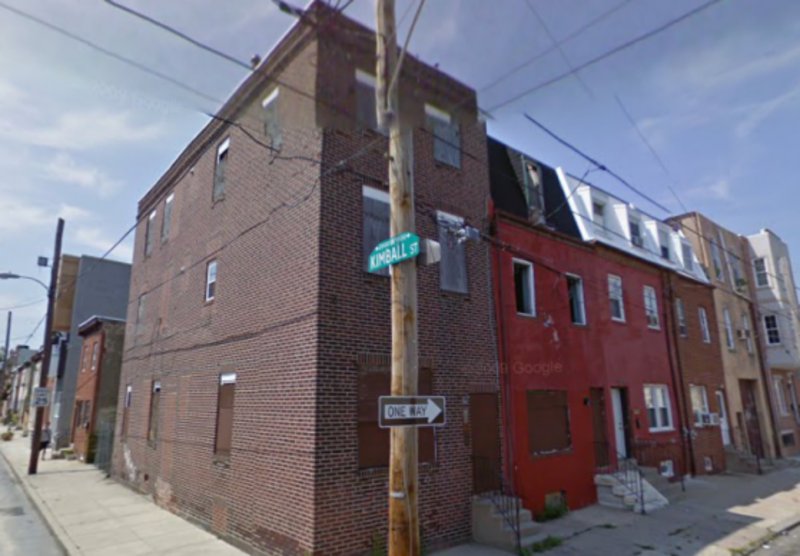 But much more damning to PHA is 1010 and 1012 S. 20th St., two properties that have sat blighted for more years than we can tell you with any confidence. As you can see, these properties have been vacant since at least 2009, and we believe for several years before that. Thanks to the Doors & Windows ordinance, PHA was compelled to install cheap vinyl windows on the 2nd and 3rd floors of these two properties over the last year or so, but both clearly still look totally awful, especially with the hideous metal doors and windows on the first floor. 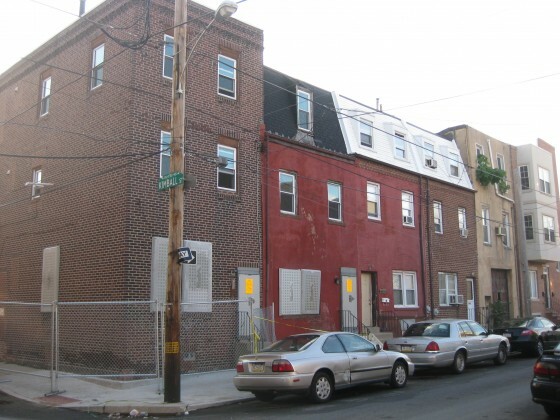 On June 15th, both properties were slapped with notices from L&I demanding that PHA “Perform Repairs” on the properties. 1010 S. 20th St. had been cited for numerous violations over the years, and has two open violations for lack of a vacant building license and poor exterior maintenance. Does anyone else find it worrisome that both violations date back to 2011 and haven’t been complied with? Much more concerning is the corner property, which has three outstanding violations that date back to October 2012. It’s much more concerning really, because L&I declared the property unsafe when it wrote up the violations, which include a bulged wall, loose brick, and a fractured wall. Further details of the violations, updated in February, note that the “southern masonry wall has moved and is in danger of collapse.” Would anyone else agree that the construction of a large condo project directly across the street probably isn’t helping with this building’s structural integrity? We don’t know for sure what the notices mean for these buildings, whether perhaps the clock is now ticking before PHA gets hit with heavy fines or the buildings are simply demolished by the City. 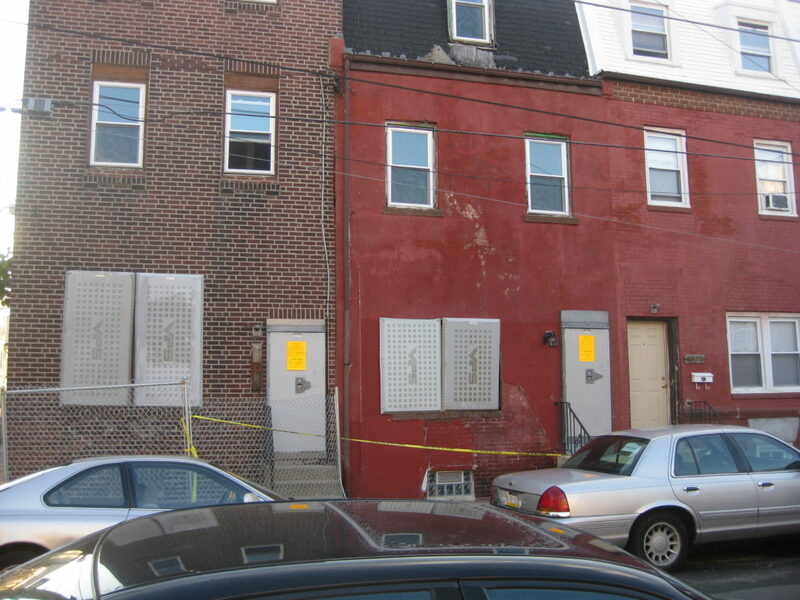 One easy fix for PHA might have been to offer both of these properties up for auction next month, essentially making these violations someone else’s problem. But hey, what’s the fun in taking the easy way out? But in all seriousness, we implore you PHA: Please do something about these properties right now. It’s bad enough that they’ve been a blight on the neighborhood for years. But if one of these structures is indeed structurally unsound, you need to find the money to shore it up immediately, before something tragic occurs.